Sometimes I can’t believe my good fortune. After having a great time in Willcox exploring downtown and visiting tasting rooms and wineries in the area, we drove over to Sonoita to continue our exploration of southern Arizona wineries. We had tasted wine in Sonoita once before, but had driven down from Scottsdale, just for the day. On this trip though, we planned to spend two days wine tasting and exploring the area. 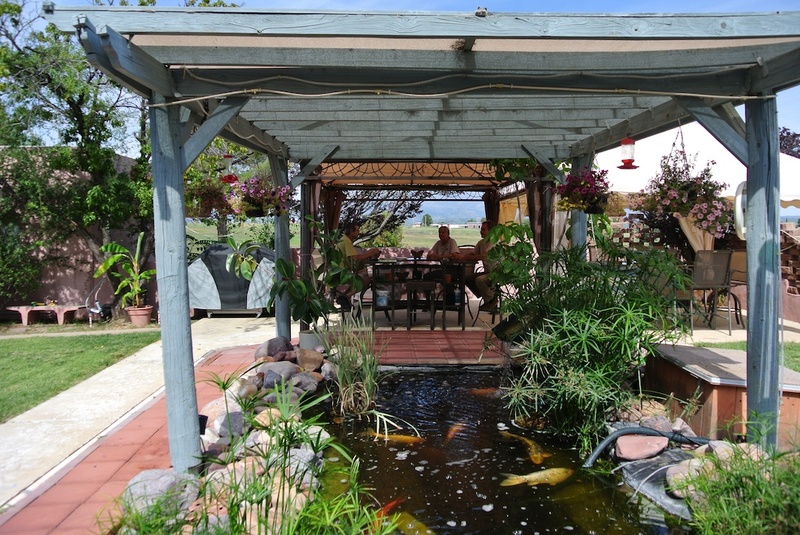 Pete discovered a hybrid Bed & Breakfast called Xanadu Ranch GetAway located just south of Sonoita. He knew I would love the idea of staying on a horse ranch. 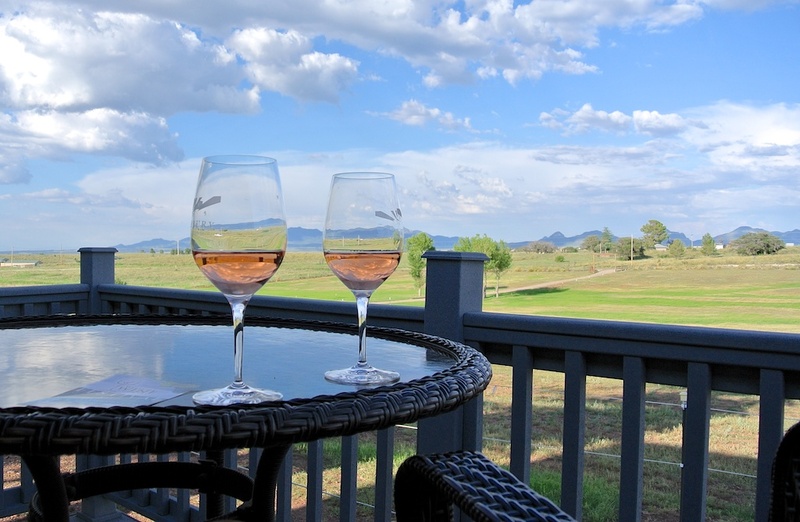 We decided to spend two nights in Sonoita to be close to area wineries. We were able to book two nights in the Bunk House, seen here on the left, at Xanadu. I’m so glad we did. Bernie and Karen Kauk came to Sonoita from Vermillion, Ohio where they had a busy life with convenience stores, a gymnastics school and the first Xanadu Ranch. A horse show brought them to southern Arizona. 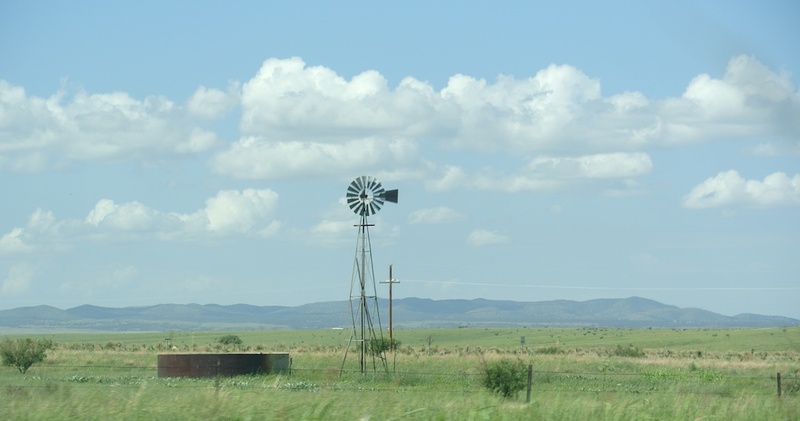 They looked around and fell in love with the grasslands surrounding Sonoita. “It’s perfect horse country”, said Karen. They moved themselves and their Tennessee Walking horses to a rented property while they looked around for the perfect ranch to purchase. 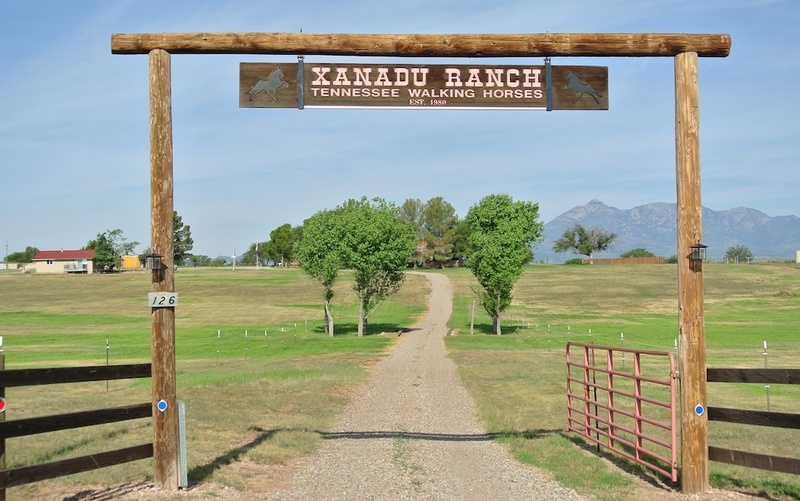 Eventually they found the 22 acres which is the current location of Xanadu Ranch GetAway. It is part of one of the oldest homesteads in the area, originally 600 acres. The ranch house was built in 1912. Karen and Bernie fell in love with the trees surrounding the hilltop house. Trees grow slowly in southern Arizona. Large trees are precious. Bernie explained the name of the ranch, Xanadu, is inspired by the Samuel Taylor Coleridge poem describing the summer residence of Kublai Khan as a dream land. It’s the name they chose for their first ranch in Ohio, then of course their current “dream land” ranch in Sonoita. When Bernie and Karen purchased the ranch it was operating as a conventional bed and breakfast. It had also been the site of a winery in the 1970s and 1980s in addition to a horse ranch. 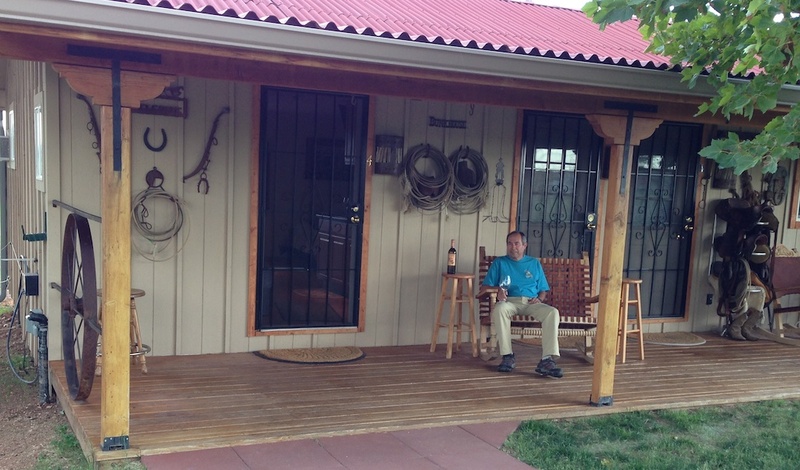 Their vision was for a hybrid B & B, which is what they created at Xanadu Ranch GetAway. You have your choice of an optional continental breakfast, preparing your own breakfast in your room or buying breakfast items from their Snack Shack. It’s private and it’s up to you. No common meals with people you don’t know. All rooms have private entrances, private bathrooms and the Deluxe rooms (the Casita and Bunk House) have full kitchens. 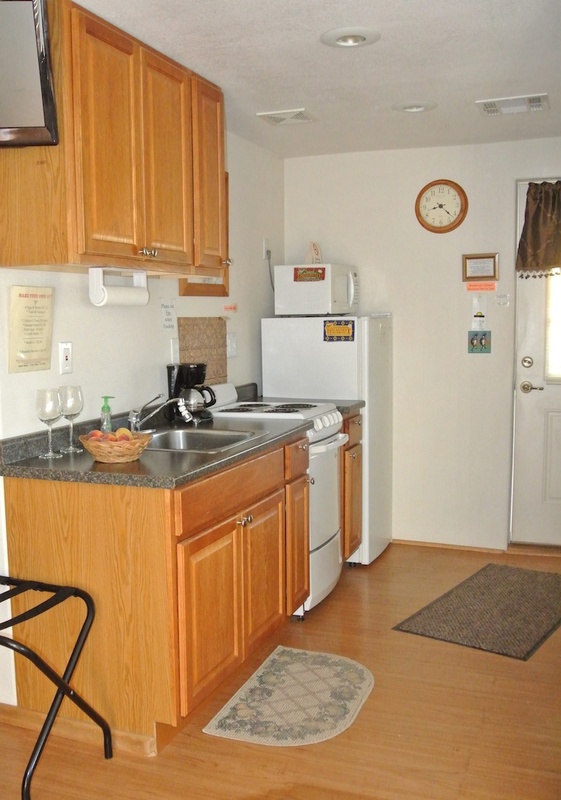 Other rooms have a coffee maker and coffee, refrigerator, microwave, toaster and access to shared outdoor grill. The views are spectacular, thanks to the hilltop location. 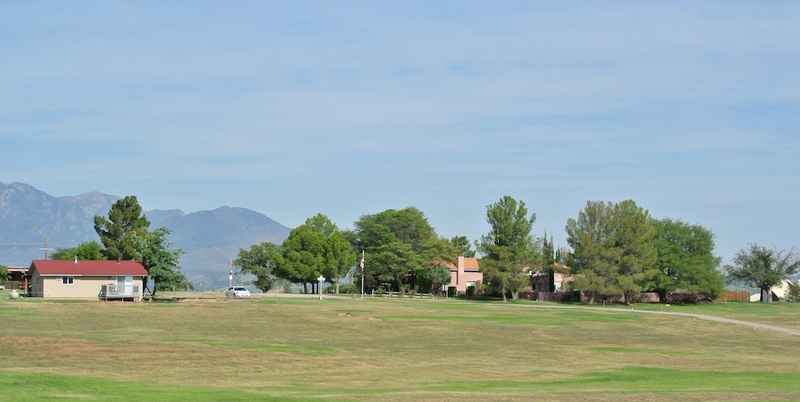 The Casita has a view of the Santa Rita mountains and Mount Wrightson. You can enjoy the sunset from a hammock if that suits you. We had the Bunk House for our stay. 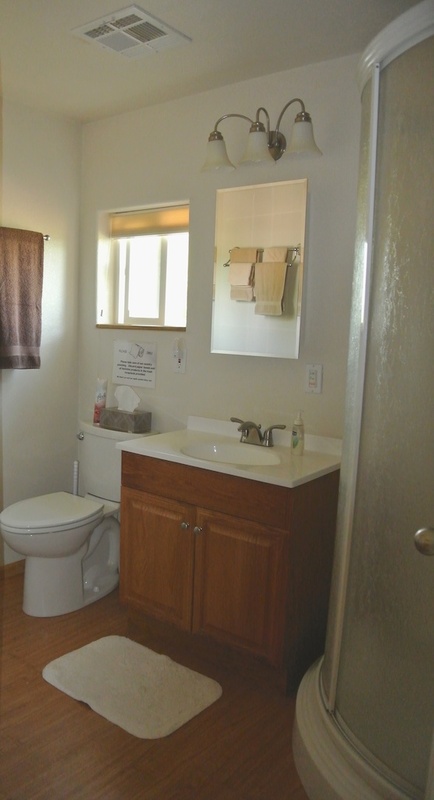 No, it is not a large room with rows of bunk beds and an outhouse. It’s just called the Bunk House and it’s charming. The Bunk House has a porch out front with comfortable rocking chairs. 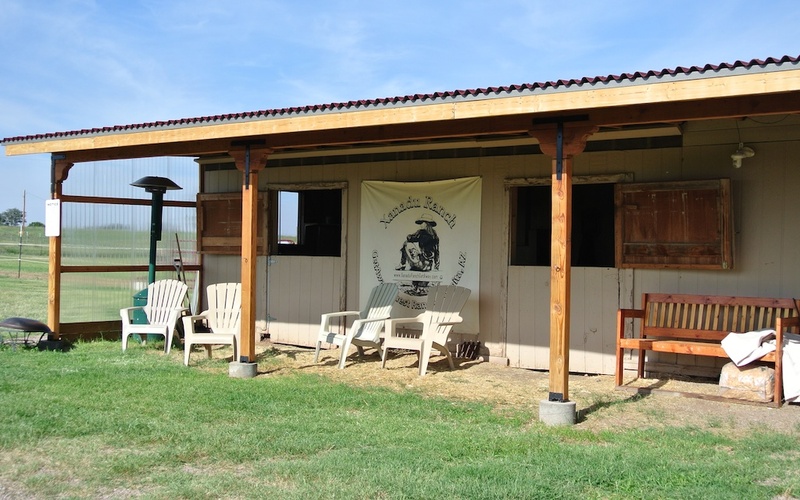 The front porch faces the stable, home to Sunny Moon and Ebony Moon the two resident Tennessee Walking horses. They are a very relaxed pair. In addition to the stable for Sunny Moon and Ebony Moon, the Xanadu Ranch has accommodations for horse guests as well. It’s a perfect location for those who travel with their horses. There are lots of horse trails in the Coronado National Forest. The Bunk House kitchen has everything you need to make simple meals or even something more elaborate, should you be so inclined to make that much effort when on vacation. We just kept it simple. There is a convertible futon in the dining area which provides plenty of room to sit and read, access the internet or watch TV. The Queen bed was comfy and warm. The Bunk House has everything you need for a relaxing stay. The weather during our stay was perfect. Early August brought temperatures in the low 90s during the day with cooling to 60 at night. We spent mornings and evenings on the deck out back. The views of the mountains are always changing. Sunrise was spectacular. 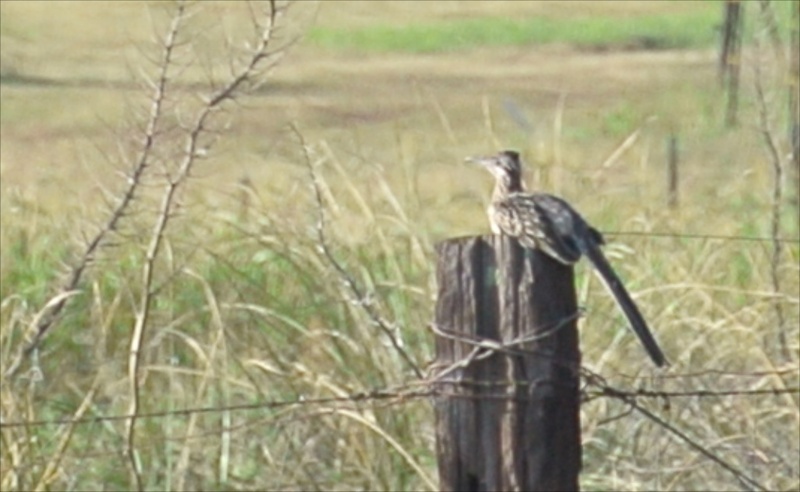 We saw a roadrunner one morning as we were sipping our first cup of coffee. We enjoyed the evenings on the deck with a glass of wine and a light dinner. Just salami, cheese and crackers. It was so relaxing to just sit, sip and watch the view. One evening from the comfort and sunshine of the deck, we watched a thunderstorm move across the countryside several miles away. The Monsoon season brings spectacular cloud formations and can mean a downpour. The temperatures cool and the countryside becomes so green. August is a great time to visit the area. 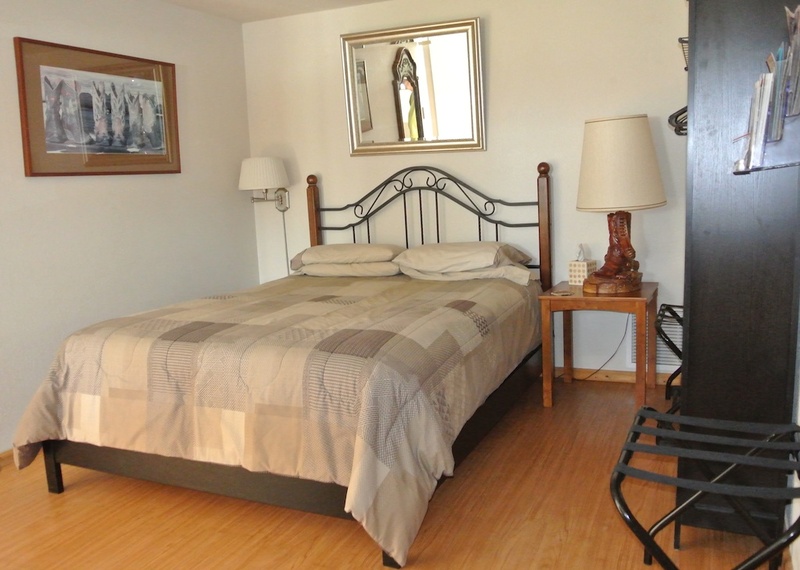 The Xanadu Ranch GetAway is a convenient location. It’s only a matter of a 15-20 minute drive to many of the wineries. And Karen has a map of all wineries, restaurants and shops in the Sonoita area with phone numbers and hours of operation. She knows everyone and will tell you about the attractions you shouldn’t miss. It is also an easy drive to Tombstone, Bisbee and Kartchner Caverns from Xanadu Ranch. Karen told us about this great market in Patagonia, just a 15 minute drive from Xanadu. 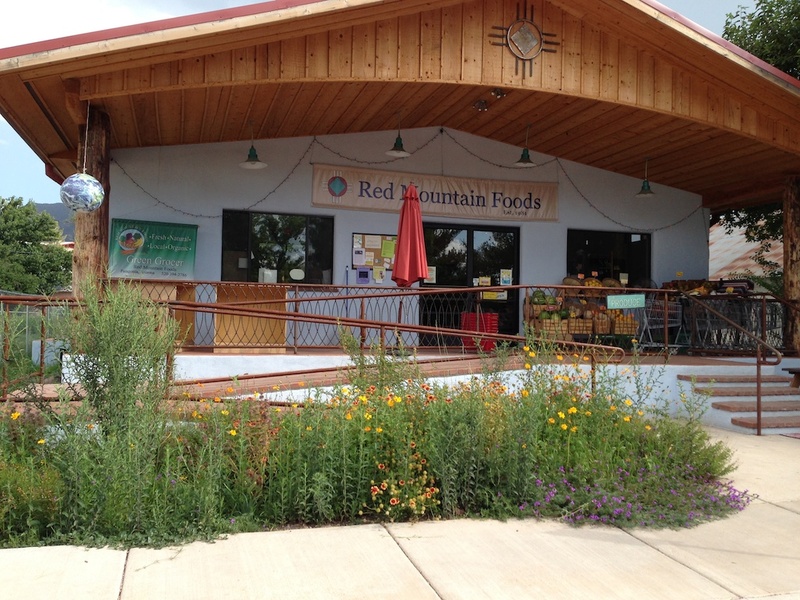 It’s well-stocked with organic and local produce. We even found Willcox apples to go with our salami and cheese! Patagonia is a charming little town with a lovely park, shops and art galleries. Definitely worth a visit. While we were in Patagonia, we drove to the Nature Conservancy Patagonia-Sonoita Creek Preserve. There is a system of well-maintained trails at the Preserve and the birding is spectacular. There is a visitor center and generally a park host who will greet you and answer your questions. 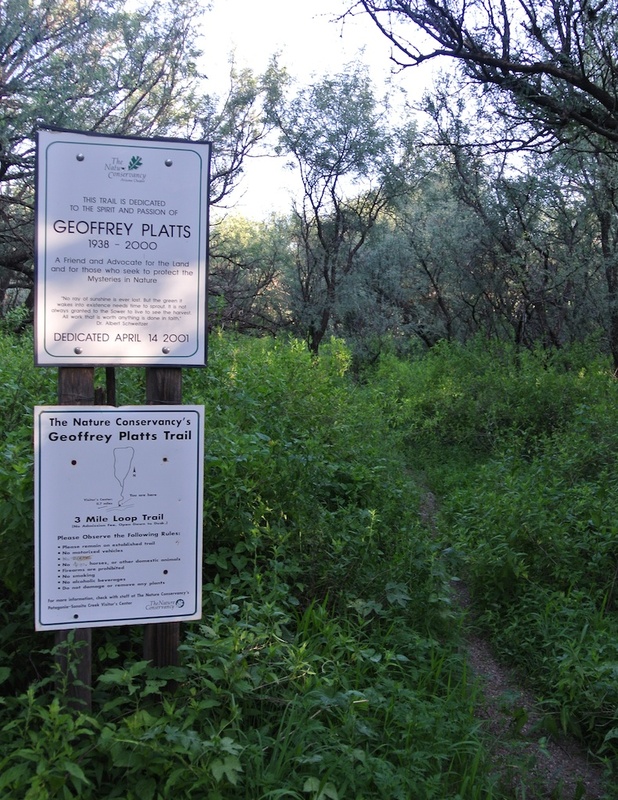 We returned the next morning and hiked the Geoffrey Platts Trail near the Preserve. The terrain is hilly around Patagonia. The loop provides spectacular hiking through brush, mesquite forests and out into the expanse of the hillsides. Before you go, check with the Preserve. They will inform you of any mountain lion sightings and remind you to be prepared. Bring water, wear a hat and use sunscreen. Our stay at the Xanadu Ranch GetAway was just perfect. The Bunk House was spacious, private and the ranch location is so quiet. The evenings were spectacular, with more stars than you could count. It was the most relaxing time we spent during our trip to southern Arizona. 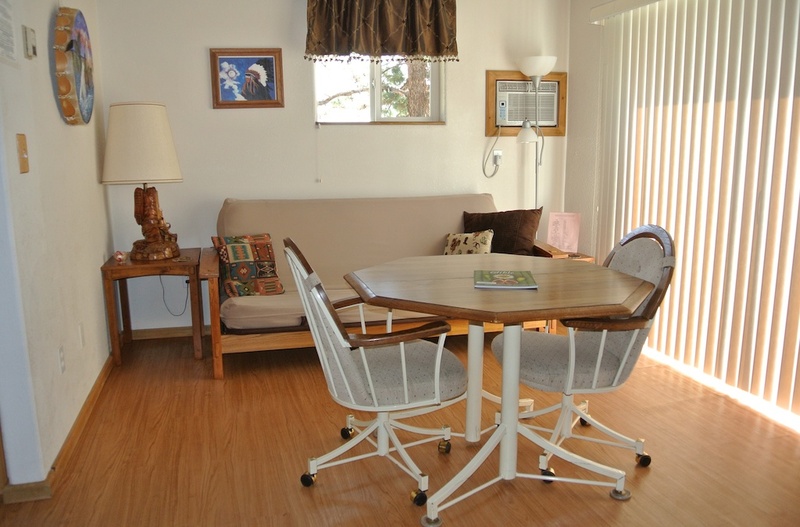 Rates do not change with the seasons at Xanadu Ranch GetAway. In fact, rates are the same now as when Bernie and Karen established Xanadu in 2006. They do offer discounted rates for extended stays and a discount for return guests. Hats off to Bernie and Karen. 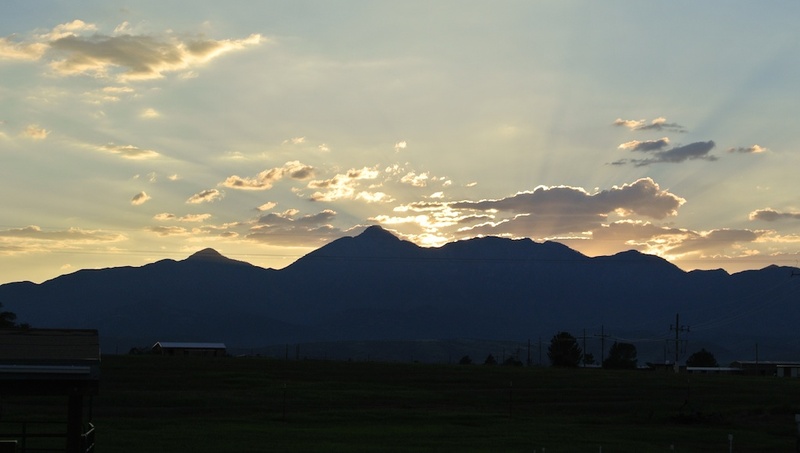 You really have created a “Dream Land” in Sonoita. From the Xanadu we went wine tasting at Dos Cabezas WineWorks, Callaghan Vineyards, Wilhelm Family Vineyards, Rancho Rossa Vineyards and Sonoita Vineyards. We will have winery profiles of these wineries in the coming weeks as we continue our tour through the southern Arizona wine region of Sonoita/Elgin. In the meantime, take a deep breath and relax! What a great article. You described a wonderful stay at Xanad, and you painted a beautiful portrait of the wonderful landscapes in the Sonoita Elgin area. The pictures added a nice touch I loved them. So glad you enjoyed Bernie and Karen’s hospitality. I hope you come back to our little piece of paradise. Thank you Lida. We absolutely will be back! What a beautifully written piece about Xanadu! Looking forward to more of your posts about the wineries. 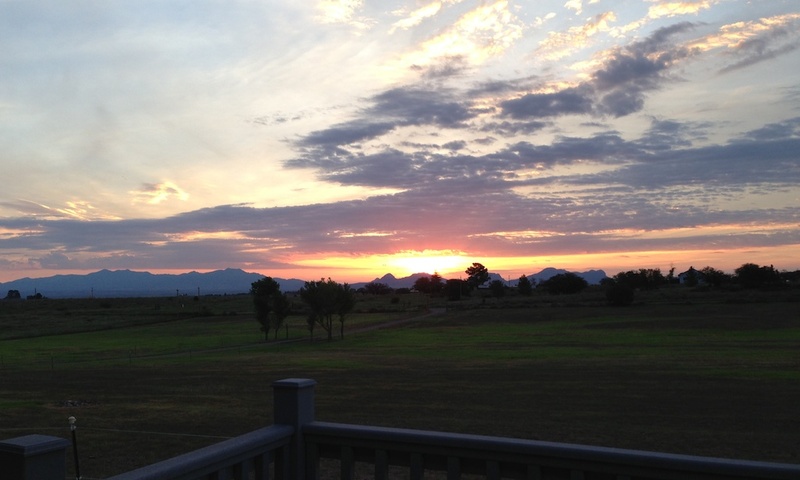 So glad you enjoyed your stay in Sonoita! Thank you Karyl. We truly enjoyed our visit with you at Wilhelm Family Vineyards.